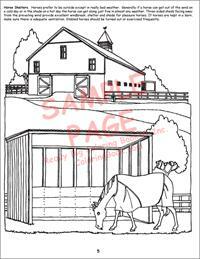 Now you can make a horse of a different color! 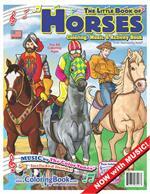 The Big Book of Horses with the "Horses Ride" Song captures the majesty and power of horses from North and South America. 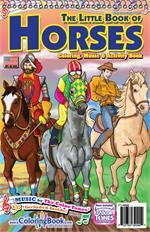 Readers of all ages can learn about the histories, talents and care of different horse breeds. 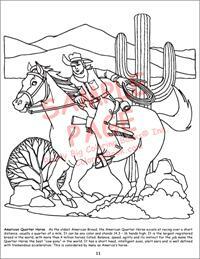 Learn about the many different types of horses while coloring, playing, dancing and singing along to “Horses Ride” sung by two cowboys known as the Color Tones®. 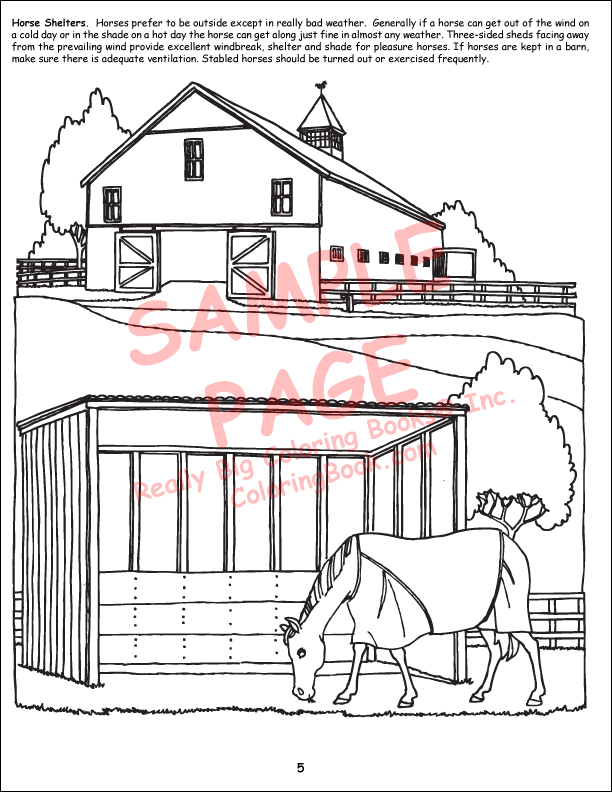 *Click here to sample the song "Horses Ride"
This is a Really Big Coloring Book, nearly 18” wide and 24” tall with thirty-two pages of giant coloring fun! This book will last for months! 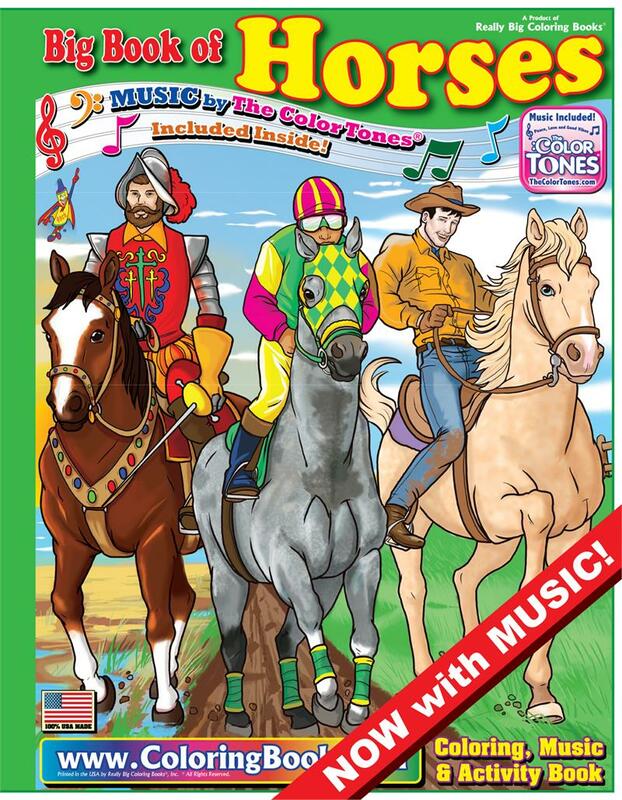 “Horses Ride” by THE COLOR TONES® is a dynamic, energetic song co-written by the author of The Big Book of Horses and based off the book’s content. 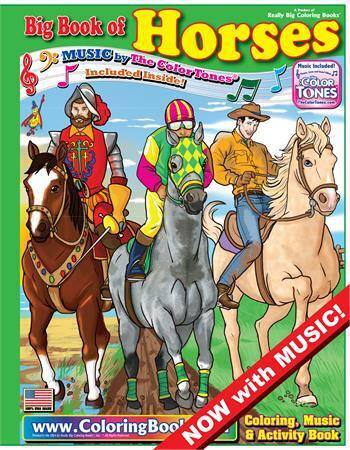 From the vivid full-color front and back covers with accurate, engaging inside pages to the contagious lyrics and inspiring melody of “Horses Ride”, this book/song combo will spark the imagination and leave you singing, “Horses, YEAH!” THE COLOR TONES® use a palette of different musical styles to enhance the coloring book experience. Based out of Saint Louis, MO, THE COLOR TONES® are musicians of multiple generations with the aim to make music fun for all ages and the generations to come. By mixing color, music and poetry, THE COLOR TONES® inspire a sense of wonder, imagination and creativity under the banner of peace, love and good vibes. “Horses Ride” is written, composed and performed by Drew “Johnny Saint” St. John on vocals and guitar and written, composed and performed by N. Wayne Bell on vocals and banjo. Arrangement and composition by Charles Calello. Produced by Tony Bongiovi. Published by Color Tunes Publishing©. Produced by Big Books Productions©. 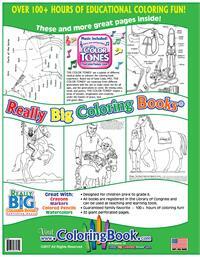 Each inside page is a high-bright, white paper that children can use crayons, colored pencils, magic markers and even water colors on! The pages are perforated! 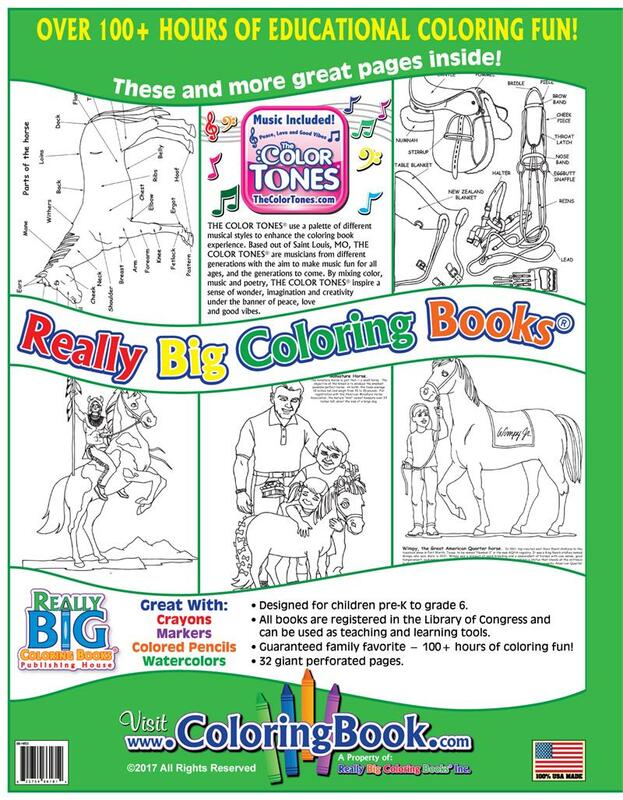 Really Big Coloring Books ® (RBCB) are manufactured in the United States with Soy Ink and guaranteed 100% safe against non-toxic inks, paints and dyes! All About Agriculture presents lessons about farming, harvesting, crops and other careers that are involved with agriculture. 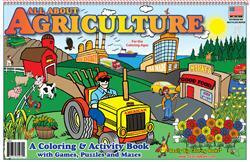 Children can learn about animals, crops, farms, and agriculture in a way that is fun and engaging. Now you can make a horse of a different color! This saddle-stitched Little Book of Horses with the "Horses Ride" Song captures the majesty and power of horses from North and South America. View 'Full Web Site' for a sample link to the song. 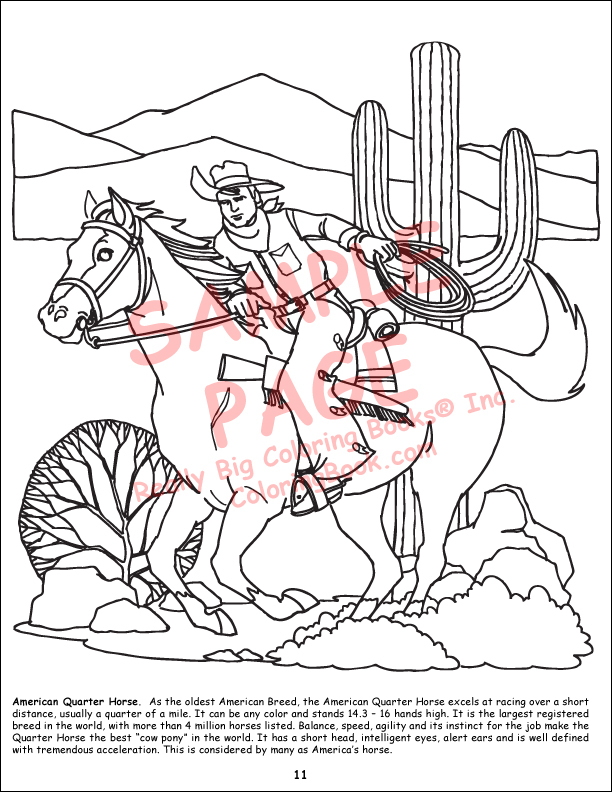 Now you can make a horse of a different color! The Little Book of Horses (5.5" x 8.5") with the "Horses Ride" Song captures the majesty and power of horses from North and South America.